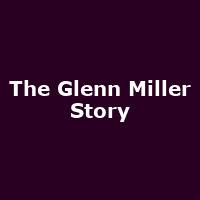 "It's been seventy years since Glenn Miller disappeared over the English Channel as he flew to Paris to entertain the troops during the Second World War. Did he crash? Was he shot down? Will the mystery ever be solved? Brought to the stage for the very first time in a brand new musical spectacular, is the life, fame and vanishing of America's most famous big band leader, whose music defined an era and story stunned the world. For the 2015 run, music legend Tommy Steele, Britain's first rock n' roll icon who became our greatest ever song and dance man, commands the stage as only a very great star can in this extraordinary tale of the world's most famous big band leader, accompanied by a live 16-piece Glenn Miller orchestra and a full supporting company of singers, dancers and actors."